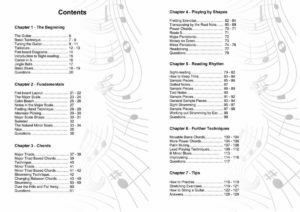 130 pages with over 180 photographic examples, diagrams and illustrations; a Guitar method book designed to be comprehensive and understandable, including downloadable audio tracks. The eBook version is at a low introductory price! "We loved the book. The information was well paced and concise enough not to overwhelm. Any beginner would definitely benefit from having this book, and it's a great reminder for those who might have forgotten details or are looking for them"
"I think this book is great. It covers all the stuff I teach, in a really clear but detailed way. I always find that different people take different amounts of theory to others, but this would be a great book to keep referring back to during lessons and song learning. It's pretty much exactly how I would make a guitar tutor book." 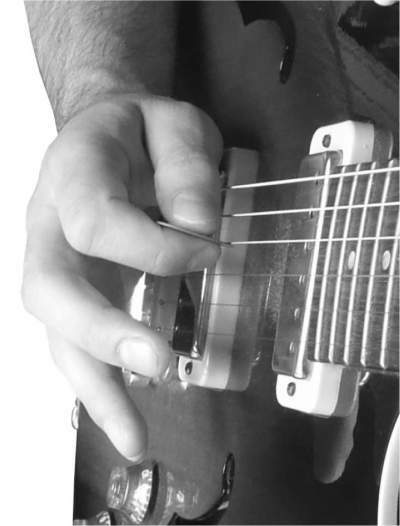 "This top value eBook and MP3 package covers a wide range topics essential for all guitarists. Over 100 pages with plenty of information and solid advice that a player can dip into as needed. Evans does not gloss over the often neglected area of reading notation for rhythm." 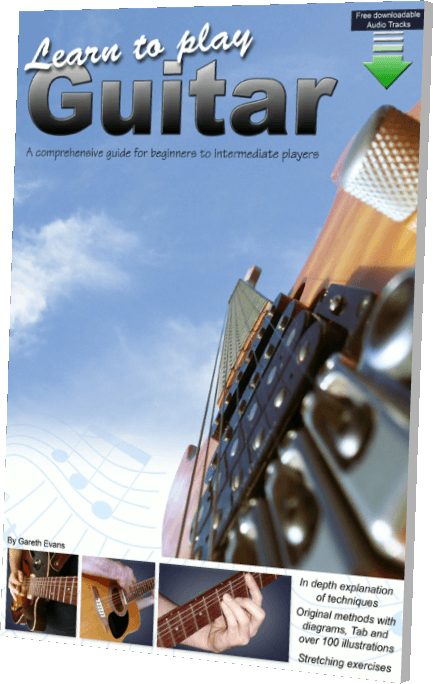 "Would recommend this for anyone who is looking to get a really solid grip on how to play the guitar, and also to tutors who are looking at ways to improve their own tutoring abilities." "Plenty of detail that goes into posture, hand position, thumb position, etc. The notation and strumming is really good here because it builds up in stages. In a real life lesson, you can introduce it in this way piece by piece and not overwhelm the student." "Learn to play Guitar is an ideal companion to support the beginner on their new found musical journey. Highly recommended." "Too many beginning guitar player guides sacrifice basics in favor of quick gratification without creating a foundation of knowledge or provide the 'how' without the 'why'. 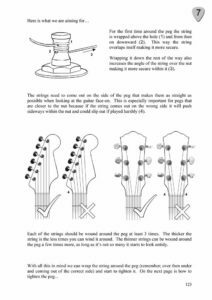 Learn to Play Guitar's attention to all these details, with illustrations at every step and backed by audio, makes this book recommendable above most other beginning guitar instructionals on the market"
How to hold a guitar correctly and how to tune it. 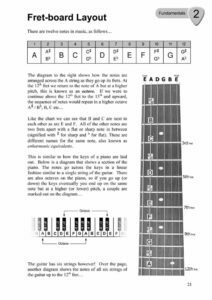 Tablature is explained clearly and the typical beginners problem of reading it the correct way around is addressed. 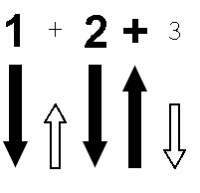 To get straight into playing music, numbers have been added underneath pieces to indicate rhythm (tablature on its own doesn’t indicate this). 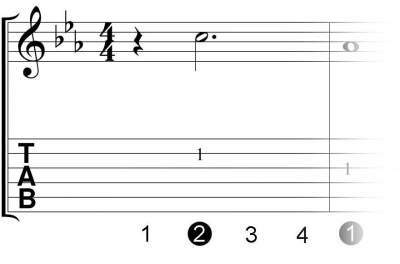 Later, the rhythmical aspect of notation is covered so you can use it with tablature. 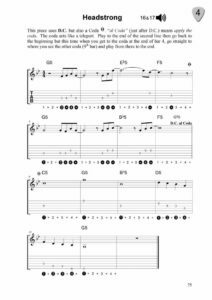 Open chords; major chords and minor chords (open chords have non-fretted strings within them). 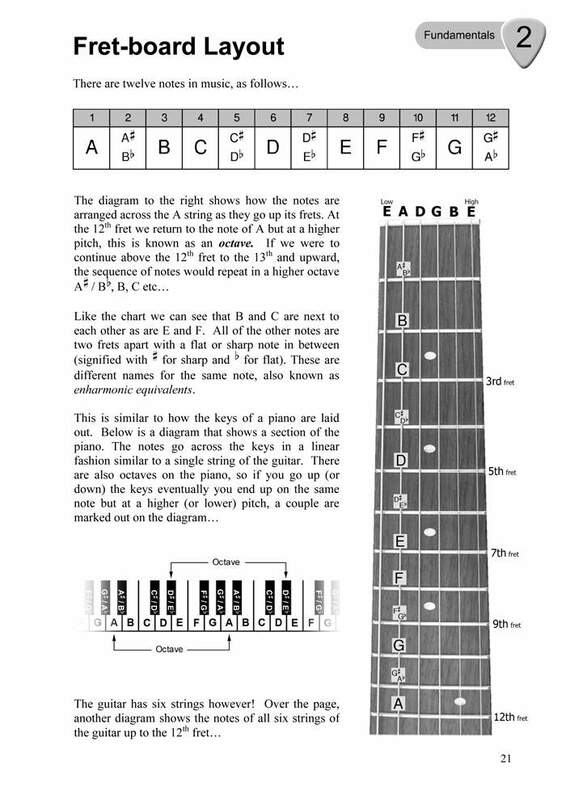 An explanation of chord construction. Barre chords and Power chords are also covered. Explaining basic techniques that can be taken for granted by more experienced players. 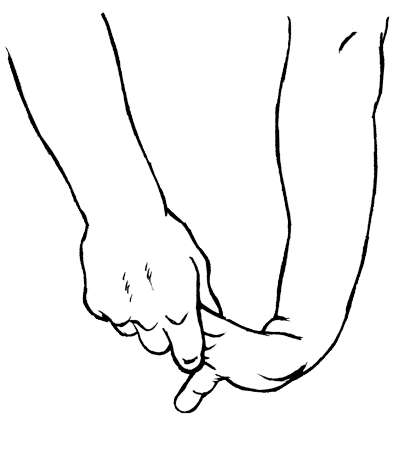 Palm muting and some basic lead guitar techniques are also covered including hammer ons, pull offs, sliding and string bending. 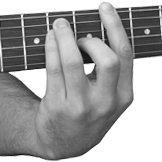 Changing chords and Strum patterns are presented separately at first so you can focus on each individually. They are then brought together from basic to more advanced until there’s a rhythm guitar piece to play. Music theory basics explained in terms of the fretboard and reinforced by musical pieces in various styles making the learning process of this guitar method book practical and enjoyable. Stretching exercises with illustrations are included to relieve tension and help avoid pains and injury. 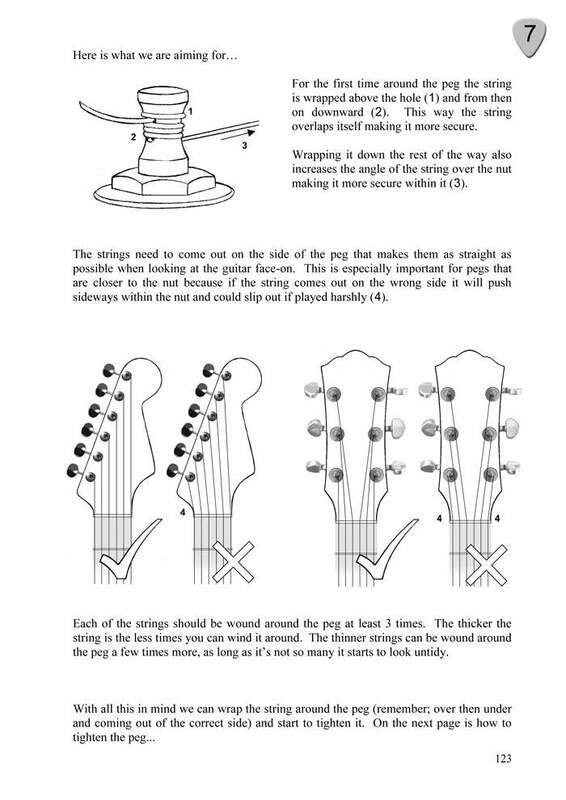 How to practice is also explained as well as stringing a guitar. "Well written and laid out guide for guitarists, beginners to intermediate. Aimed mainly at beginners but lots of useful stuff for more advanced players too. 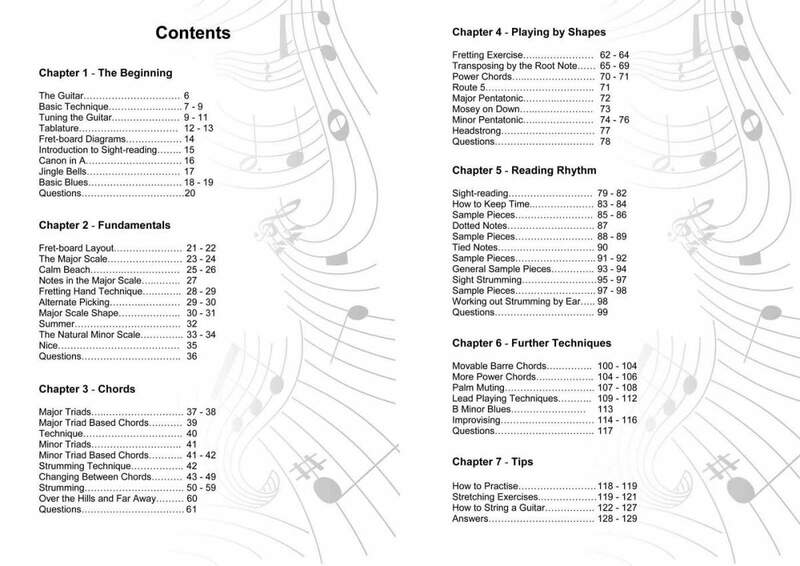 Covers everything a beginner needs to know including maintenance, excercises and theory. Lots of diagrams and photos." 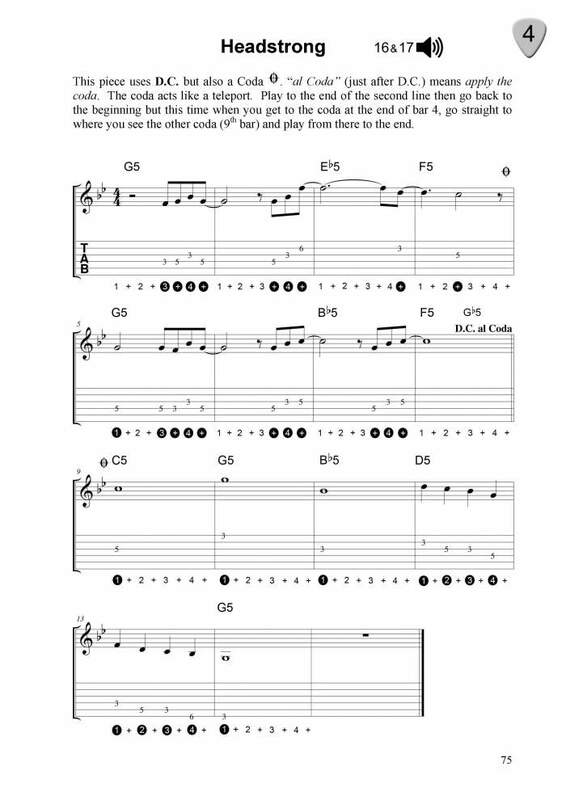 "The Learn to Play Guitar book is a very good guide for technique and theory. The book is set out very well with detailed photos, which help the learning process." "Gareth is an excellent guitar teacher and guitarist. All of his books are concise and easy to follow. I would thoroughly recommend him to anybody." 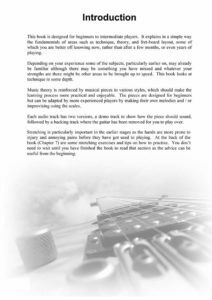 "A very good book for beginners to intermediate guitar players, teaching the reader about the fundamentals, chords shapes, techniques, tips and how to read music"
"Easy to follow, learnt to play a scale which turned into a tune. Lots of exercises and techniques, with backing tracks to play along to." “I have been working through this book ever since I started lessons with Gareth. I think it is an excellent book and has helped me progress a great deal! It is easy to understand and has clear diagrams so you can see what you are doing." "Excellent teaching, helpful books with useful illustrations"